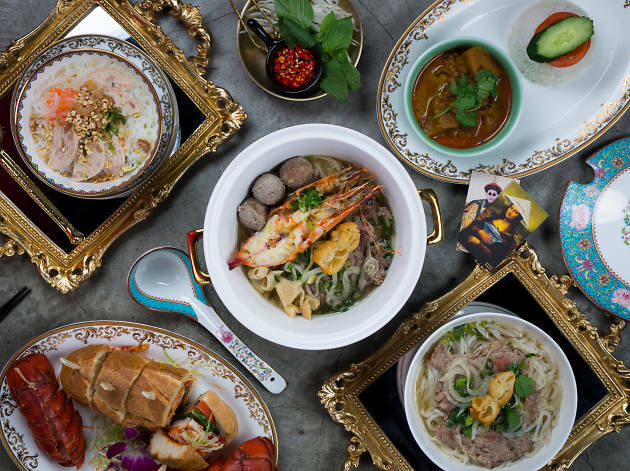 If 2017 was all about banh mi – we love the offerings at the likes of Le Petit Saigon and Co Thanh – 2018 looks set to be the year pho takes centrestage. Rich, simple and oh-so-comforting, it’s hard not to love a well-made pho. 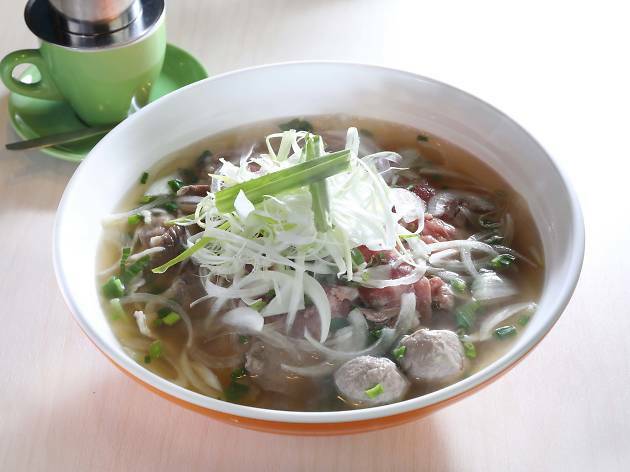 Recent months have seen a slew of new Vietnamese restaurants opening, all boasting the beloved noodle soup on their menus. 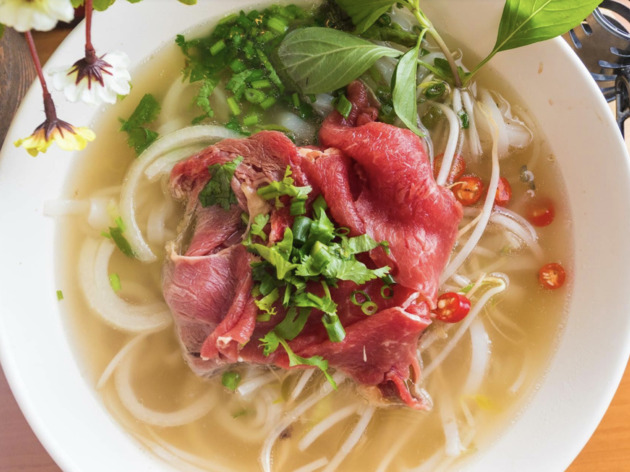 If you’re a fan of flavourful broths made from fresh ingredients, check out our recommended places to try pho now. And if all these new openings have you ODing on Vietnamese, try one of Hong Kong’s equally comforting best claypot rice dishes or top hotpot restaurants. Hang-O-Pho is a Vietnamese restaurant that isn’t scared to have fun. Not only is the name a punny reference to the purported hangover-ailing qualities of pho, the restaurant is decked out in all sorts of quirky details, including a recreation of Leonardo’s The Last Supper with the disciples wearing rice hats. The signature dish here is, of course, the pho. 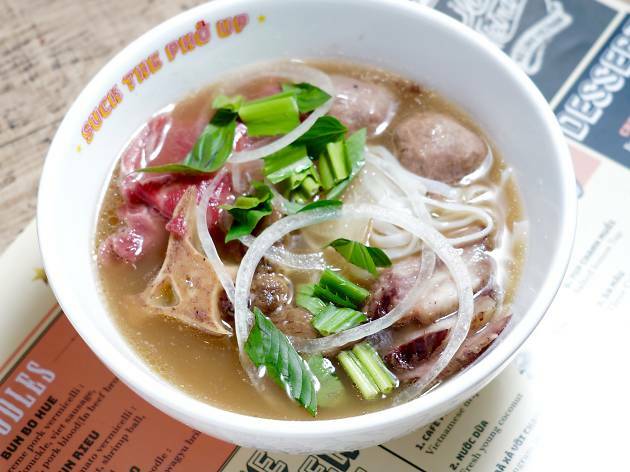 Completely MSG-free, Hang-O-Pho’s broth is sweet and aromatic, made by cooking beef bones, fresh oxtail, chopped brisket and more than 10 different herbs and spices for 20-plus hours. As for the noodles that sit in the soup, the owners tested more than 30 different types before settling on an al dente rice noodle that comes straight from Vietnam. Aside from the must-try Hangover Cure raw Angus beef pho ($78), it’s also worth trying the restaurant’s non-noodle dishes, including the grilled meatballs ($38) and garlic butter chicken wings ($68). 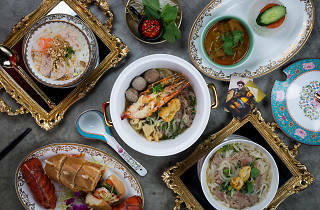 Opened by the same folks behind 65 Peel, Pho Up pays homage to the diversity of Vietnamese cuisine while also adding a few original creative flourishes. 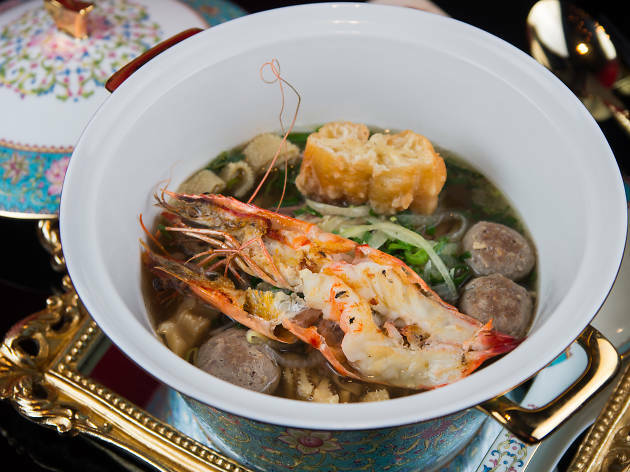 The restaurant offers three signature noodles (all $88), each with its own distinct personality. 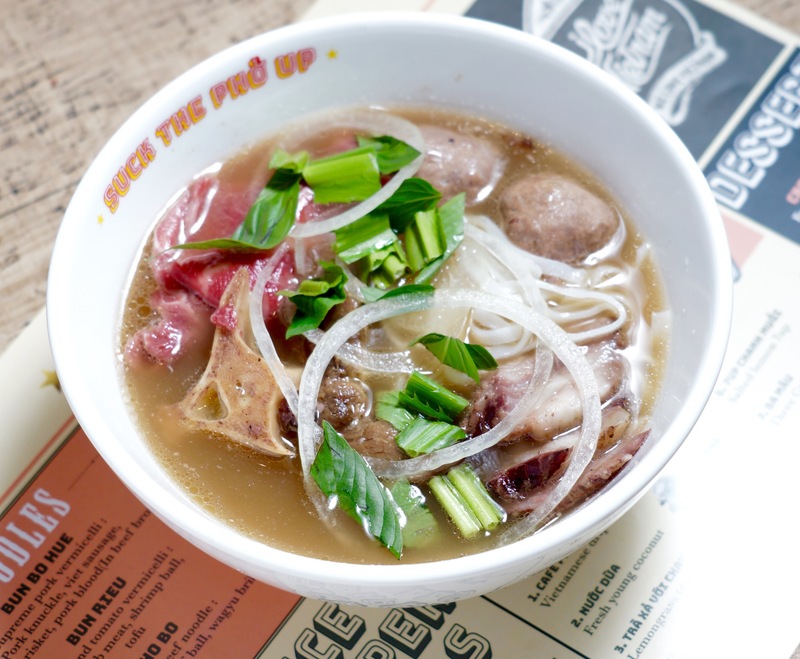 The pho bo is a classic crowd-pleaser, served with slices of marbled raw beef, beef balls, oxtail and wagyu brisket. 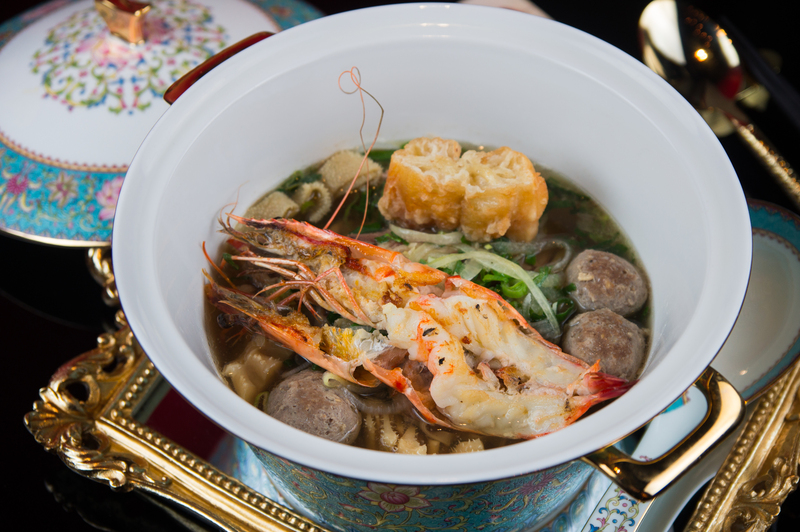 It’s served with thin rice noodles, which hold up well against the deep, robust broth. Beyond pho, there’s the bun rieu, aka crab and tomato vermicelli, which sits in a broth that’s as rich as lobster bisque. The salads are also worth trying, especially the Alaska king crab salad and the avocado and tofu salad (both $88). Top everything off with a Vietnamese drip coffee ($38), which is sweet with a smooth, long finish. Authenticity is key for this newcomer. The pho is delicious, especially its signature What The Pho ($118), which features Japanese and Australian wagyu, US prime rib and beef balls with a broth that’s poured at the table. 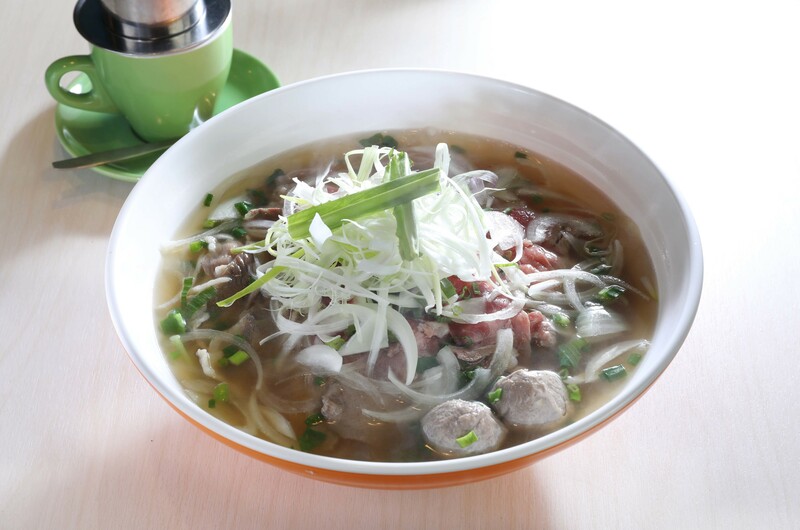 Speaking of the broth, given that the chef hails from Haiphong, the type cooked up here is of the northern variety – sweet and subtle with a lighter use of herbs and spices than its southern counterpart. Elsewhere on the menu, the bun tom ($78) – rice vermicelli in an insanely rich prawn and tomato soup – is also worth ordering. The restaurant also plates up various northern appetisers, including banh xeo (Haiphong shrimp crêpes, $78). Saigon Pho’s owner Chan Wing-shing grew up in Sai Kung before immigrating to Canada, where he learned how to make a mean pho (if that sounds weird to you, Canada actually boasts some of the best pho joints outside of Vietnam). Chan returned to Hong Kong last year and opened Saigon Pho, which has gone on to become one of the most popular pho places in the entire city. Despite its humble surrounds, the restaurant counts actors Chow Yun-fat and Sean Lau Ching-wan among its many fans, and sells close to 300 bowls of pho every day. The restaurant moved down the block last month but still maintains the same quality in its cooking. 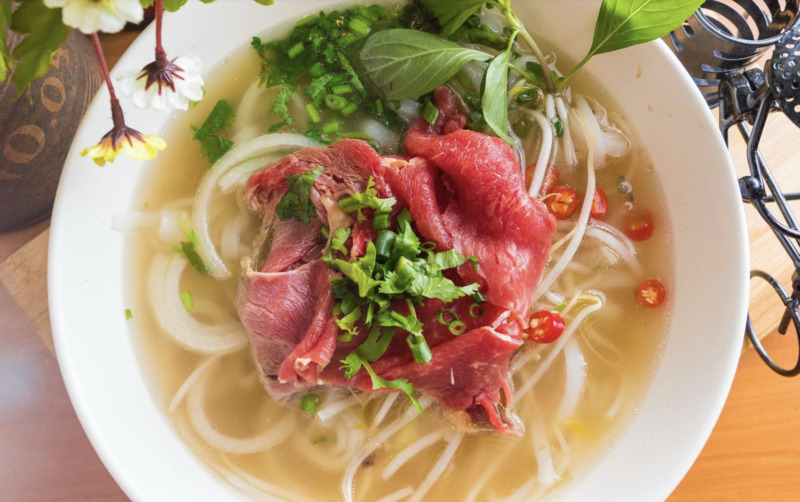 The special pho ($88) is the house favourite here – a ginormous bowl loaded with various cuts of beef (meat, tendons and offal) and an umami-rich broth made from fresh oxtail, chopped beef and more than 20 herbs and spices. Want the best local dishes? From HK-style French toast to curry fish balls, these are Hong Kong’s best native dishes and the best places to find them. If you want a taste of home, start here.